No cavities allowed here. 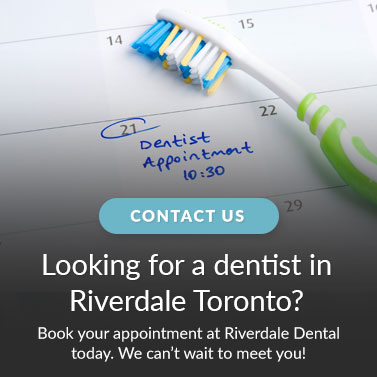 Riverdale Dental provides dental fillings for the Toronto community! A dental filling is designed to restore a decayed, damaged or cracked tooth to its natural function and shape. When your dentist gives you a filling, she will first remove the decayed tooth, clean the affected area, and then fill the cleaned out cavity with a composite resin material (filling). With a composite resin filling, the filling will resemble the colour of your natural teeth. Composite fillings are designed to not only provide long-lasting, aesthetically pleasing results for patients, but they also restore and strengthen the decayed tooth. In fact, most composite fillings, involve removing only a small amount of natural tooth during a cavity-filling procedure.